Need to know how long you can borrow a book for? Wonder what the overdue fines are on a reserve book? The Library has short-term loaner laptops and equipment available for checkout to the Brandeis community at the Information and Borrowing desk. 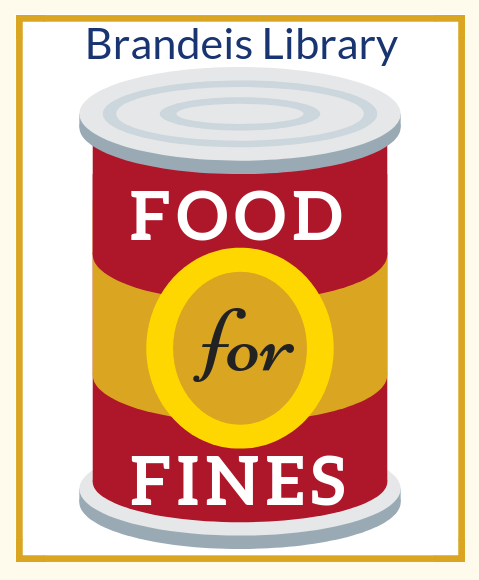 Need an item unavailable at the Brandeis Library? Request it through Interlibrary Loan (ILL). Need a digital copy of an article or book chapter from something the library owns? Request a document delivery. Looking for course textbooks and materials? Check out course reserves. Learn about the different types of requests you can place or submit a form here. Have a missing book? Think you returned something? This is the place for you. 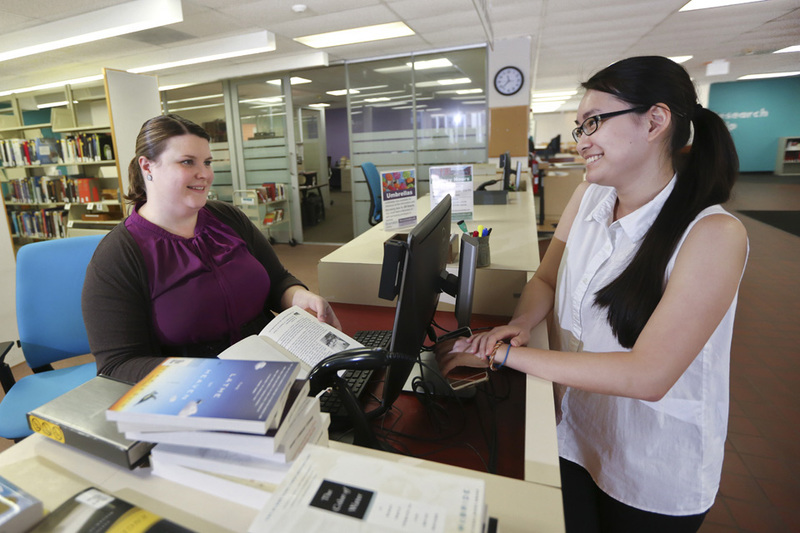 Renew your books in person (receipts are available), or by emailing borrowing@brandeis.edu. Materials cannot be renewed over the phone, as the library cannot guarantee the accuracy of telephone transactions. Or use the my account feature in OneSearch to renew library materials and monitor your account information directly. Library books should be renewed on or before their due date. We recommend that you keep track of your due dates and not depend on overdue notices, which are sent out as a courtesy. Equipment must be renewed in person with the item in hand. For more information on equipment renewals, visit the Laptops and Equipment page. The Brandeis Library views renewal of materials as an acknowledgment that you, the borrower, currently have these materials in your possession. Can I use this same Library User ID and Library password to access electronic databases and request books through Interlibrary loan? Electronic databases and interlibrary accounts can only be accessed using a UNet ID and password. If you run into trouble, consult our guides on e-resources or interlibrary loan for more information. the book has been recalled/requested. the borrower has overdue interlibrary loan materials or long-overdue circulating items for which replacement charges have been assessed. the materials have reached their renewal limit: Renewal limits can be seen on the privileges pages by user group. But, you can bring these books back, check them in, and then check them out for another cycle. Renewal limits are needed to ensure that the collection is available to the entire community. Having more books on the Library's shelves increases your ability to browse the collection and provides more immediate access to materials than our recall system provides. Renewal limits encourage you to return books you are no longer actively using. Renewal limits allow both the Library and borrowers to identify — and replace or repair — lost or damaged books more quickly. As a result of a periodic review of loan records, we have fewer missing books when borrowers leave the University. Laptops and technology equipment must be returned to a staff member at the Information and Borrowing Desk. They cannot be returned via any other method listed below nor can they be returned while the library is closed. If the library is closed, please check the library’s hours for the next open hour to avoid overdue fines. Reserve items should be returned directly to the service desk during hours when the building is open. Overnight reserve loans may be returned in the Usdan book drop. Book drops are available at the Usdan-facing entrance of Goldfarb Library and in the Gerstenzang building near where it intersects with Bassine and Volen. To safeguard against error, all materials returned to Brandeis Library are checked in twice. Patrons may have their currently checked out items recalled for other borrowers. This will shorten the due date to 14 days after which there will be a fine of $2.00 per day. Recalls can be made by patrons through OneSearch or at the Information & Borrowing desk. Patrons are notified by email when their requested or recalled item has arrived and will have ten days to pick up the item before it is reshelved. How do I see my loans and fines? If you have a UNet ID, select the “I have a UNet ID” option and enter your UNet ID and password (just as you would use to access your e-mail). If you are an alumnus or a special borrower (e.g. BLC, locally registered), select the second login option, and enter your Library User ID and Library password. What do I enter for a Library User ID? If you are an alumnus or a Boston Library Consortium borrower, your Library User ID is the barcode number on your BLC or alumni card. What is my password? Can I change my password? What is my Library password? Your Library password is assigned by the Library’s management system. It can be given to you by library staff if you present a photo ID at the Information & Borrowing desk. You may also email borrowing@brandeis.edu to request your Library password. Can I change my Library password?